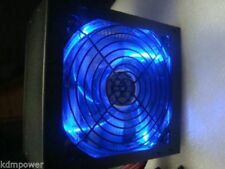 Up for sale is a Thermaltake Toughpower Grand. What you see is what you get. Used for mining. In good condition. Feel free to ask any photos. This is one of a few. So it may not be the EXACT unit pictured. Corsair HX1200 1200W Platinum Power Supply PSU – Used. Condition is Used. Shipped with USPS Priority Mail. Spare PN: 498152-001. Credit Cards. 80 PLUS PLATINUM Certified. - 100 - 240 V 47 - 63 Hz. 4 more years of warranty. - Full Modular. 28 pin to 20 4 pin connector cable 21" x 1. - 4 4 pin connector cable 24.5" x 1. - 4 pin 3 connectors cable x 1. 4 pin 2 connectors Floppy Connector cable x 1. - 15 pin 3 connectors cables x 2. -Mother Board Connector: 1. ★Using 14cm hydraulic bearing LED fan, Green LED light fan, e fficient and energy-saving silent fan, standby power 1W. Interface: 1x24P 1x 4 P 1x6P 2 x(1 4P 1SATA). Output Line Length: About 50cm/19.7". Product Key Features. Product Information. Width 5.9". Weight 8 lb. Modular Yes. Modified Item No. Custom Bundle No. MPN 220P21200X1. The Serial Number on the box matches the Serial Number on the GPU. Under Warranty and Fully Tested. Brand New Raidmax RX-1200AE 1200W 80 Plus Gold Modular Power Supply. Condition is new without original box. Item will be shipped the following business day in USPS Flat Rate box with via priority mail. All cords included. Please feel free to contact us anytime with questions. Compatible with ALL HP power supplies up to 1600Watts. Electronics power on/off switch. Built-in (12) PCI-E connectors on board for quick easy connect. Support up to 12 PCI-e cable. All products are quality checked. SilverStone Technology 1200W Power Supply PSU Fully Modular with 80 Plus Gold (s. Condition is Used. Shipped with USPS Priority Mail. 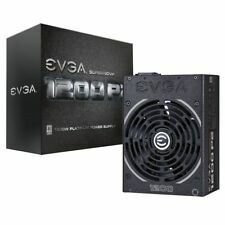 EVGA 1200 P2 - "Unrivaled Performance". 80 PLUS Platinum certified, with 92% (115VAC) / 94% (220VAC~240VAC) efficiency or higher under typical loads. Fan Size / Bearing: 140mm Double Ball Bearing. EXCELLENT CONDITION. Condition is Used. but make sure to consult Info in pics so you order the correct thing! Low heat & Low noise operation with silent 120mm low-RPM. SHARK TECHNOLOGY. 80plus Efficiency. Energy-efficient: typical 84.65%, average 82.81% efficiency. 1200-Watts Output Power. Ultra quiet cooling fan. 4X 6/8-pin PCIe, 8x SATA, 4x Molex, 1x FDD, 4 4pin, 8pin, 20 4pin. Low heat & Low noise operation with silent 120mm low-RPM. SHARK TECHNOLOGY ® ATX-1200N. SHARK TECHNOLOGY. 1x 20 4 pin ATX Main Connector. 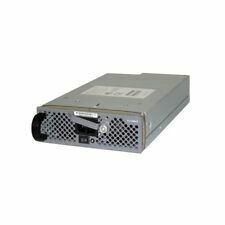 HP Power Supply 438203-001 490594-001 DPS-1200FB A1200W HSTNS-PL11. Output Capacity 1200W. Fan 135mm Ultra Silent Fan. Output Capacity 1440W. It has a 1x M/B 20 4 pin, 4x PCI-e 6 2 pin, 2x CPU 4 4 pin, and 4x6 pin detachable connectors (see pictures). Certifications SLI / CrossFire / 80 Plus Gold. The 80Plus Bronze certified CMX V3 series provides up to 88% peak efficiency. CMX Series. This improves the performance and safety of the 12V lines considerably for systems with high-end graphics cards in SLI® or CrossFire® mode. Its 80 PLUS Platinum certification ensures solid, energy-efficient performance, and its fan with concentrated compression blades and anti-vibration mounting system provides optimal, low-noise cooling. EVGA 600 BQ 80 Silver 600W Semi Modular FDB Power Supplie. Condition is New. Shipped with USPS Priority Mail. Genuine HP! Sale is for 1 pair and many pairs are available! 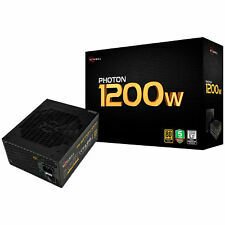 Toughpower 1200W 80+ Gold Semi Modular ATX 12V/EPS Power Supply 5 YR Computers "
EVGA SuperNOVA 1200 P2 Power Supply (80 + Platinum 1200W)+ Cables. Power System is used but in excellent working order. Unit was only used for a short period of time.All cables included. 5 out of 5 stars - EVGA SuperNOVA 1200 P2 Power Supply (80 + Platinum 1200W)+ Cables. 6 product ratings6 product ratings - EVGA SuperNOVA 1200 P2 Power Supply (80 + Platinum 1200W)+ Cables. Cooler Master V1200 - Fully Modular 1200W 80 PLUS Platinum PSU with Silent Mode. Condition is lightly used. Item will be shipped the following business day in USPS Flat Rate box with via priority mail. All cords included. Product tested before shipped. Please feel free to contact us anytime with questions. SuperMicro 1200W 80 Gold Redundant. Manufacturer SuperMicro. Certification 80 Plus Gold. Input 100~240V. RAID Cards. Graphics Cards. You may be interested in. Connections Modular. Brand New AeroCool KCAS 1200W 80Plus Bronze Noise Reducing Black (Modular PDU). Condition is new without original box. Item will be shipped the following business day in USPS Flat Rate box with via priority mail. All cords included. Please feel free to contact us anytime with questions. Thermaltake Grand Series Rgb 1200W. Condition is New. Unopened box! Shipped with USPS Priority Mail. SilverStone Technology Zeus1200W 80 Plus Modular PSU 1200 Power. Shipped with USPS Priority Mail. Opened box and didn't fit in my case.